At West Omaha Chiropractic and Sports Injury Clinic, our chiropractors are committed to helping you find relief from a persistent headache & migraine pain that ails you. 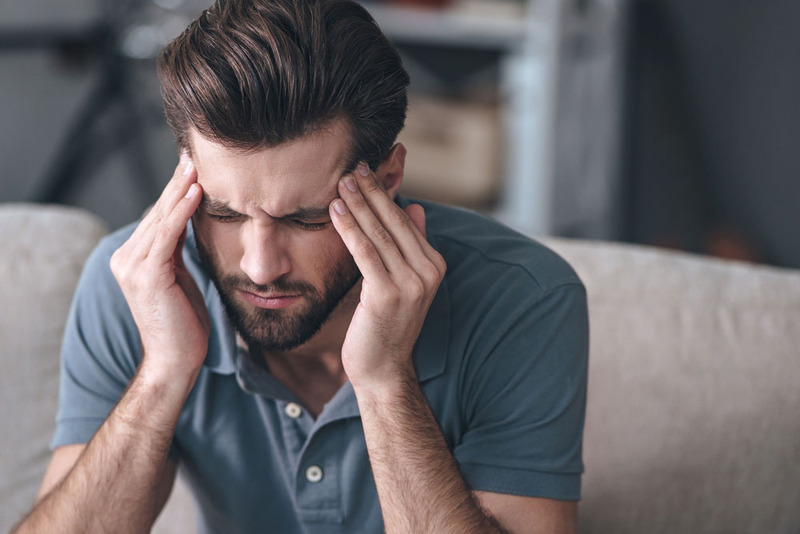 If you're experiencing persistent headaches or migraines that are affecting your daily life, then we encourage you to schedule an appointment with our chiropractic team. We proudly serve the city of Omaha and the surrounding areas, and are always accepting new patients. What are Causes of Headaches and Neck Pain? Often times, ongoing headaches and migraines are caused by tension that builds up along the upper back and neck. These are known as tension headaches, and they can be extremely uncomfortable. Often times, the neck pain that leads to these tension headaches is related to stress. When people become stressed, they often experience a tightening of muscles in the jaws, neck, and shoulders. Most people don't even realize that they're tightening these muscles as a response to stress, but when they do, this can lead to a tension headache or a migraine. Some of the most common symptoms of tension headaches include muscle tightness, problems with sleeping, the pressure on both sides of the head, and a squeezing or dull pressure in the head itself. If you're experiencing tension headache & migraine pain, our chiropractic team may be able to help. Because these headaches and migraines are caused by tension in the upper back and neck, chiropractic treatments aimed at releasing tension in these areas can be effective in reducing your symptoms and discomfort. Specifically, spinal adjustments are a common treatment that we recommend for tension headaches. Spinal adjustment focuses on correcting imbalances along the spinal column itself. This, combined with massage of the area, can help to relieve tightness in the muscles and thus the headache/migraine pain that comes along with it. Chiropractic care for headaches and migraines is recommended because not only is it effective, but it's also completely natural, non-invasive, and drug-free as a treatment option. This means you can go into a chiropractic treatment without worrying about the risk of side effects and other complications that you would need to worry about with a more invasive treatment (such as a surgery) or the use of prescription medications (which only cover up the pain, in most cases). If you're tired of dealing with a persistent headache & migraine pain, it's time to see our Omaha chiropractor for the treatment you deserve. Contact West Omaha Chiropractic and Sports Injury Clinic at (402) 334-4700 to set up your appointment and find out more about what we can do for you. Do you suffer from persistent headaches or migraines?